CLEVELAND — An exciting announcement from Major League Baseball and the Indians Thursday. 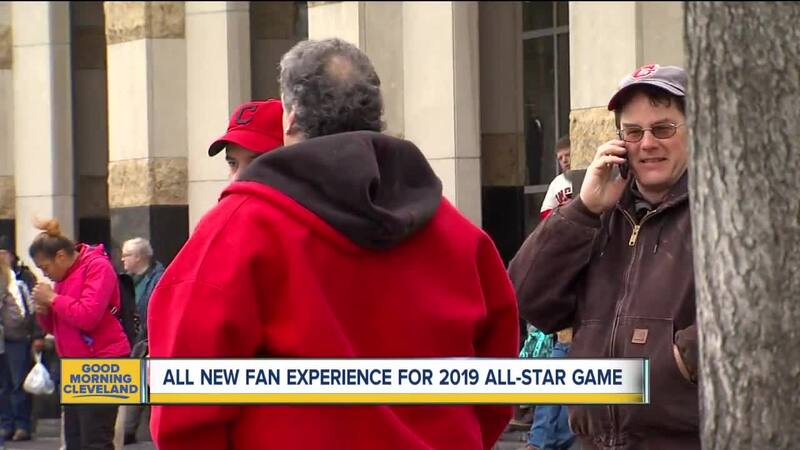 MLB and the Tribe have unveiled a new All-Star fan event called Play Ball Park coming to Cleveland ahead of the All-Star Game July 9 at Progressive Field. The fan experience opens in downtown Cleveland July 5 and leads up to the big game. New this year, the fan event will be held outside as well as inside. It will be at the Huntington Convention Center and on the adjoining lawn. Jackie Secaira-Cotto, director of special events for MLB, says Cleveland is the perfect city to debut the re-imagined fan experience. The outdoor portion of Play Ball Park will be free, but you'll need a ticket for all the fun inside. The cost will be $25 for adults, $18 for kids and senior citizens. However, you can get a discounted ticket for $10 online from 10 a.m. Thursday, March 7 through 10 a.m. Saturday, March 9. You need to use the promo code PBPD here.